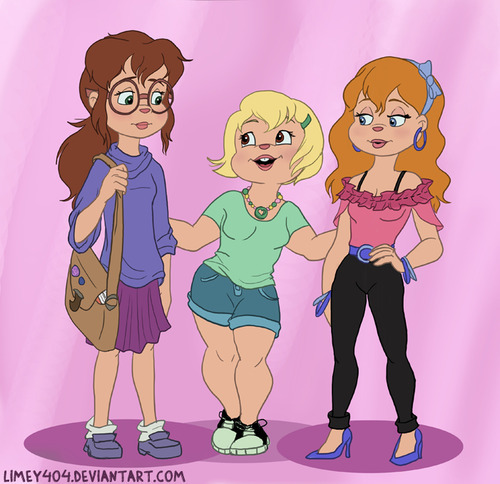 older Chipettes. The girls after a sudden growth spurt. Just like I pictured them in my story: The Courtship of Alvin's Uncle.. Wallpaper and background images in the アルビンとチップマンクス club tagged: chipettes. Brittany is beautiful.. Jeanette is lovely.. Eleanor is a curvey knockout.. Imagine a story dealing with life changes. I wrote one.. The sequel to : The Trouble with Uncle Harry! In "The Courtship of Alvin's Uncle", I have The Chipettes go through Partial Precocious Puberty. They change into young women over night. This causes some awkward moments with the boys. Luckly for the girls; Vinny and Uncle Harry are there to help them cope.